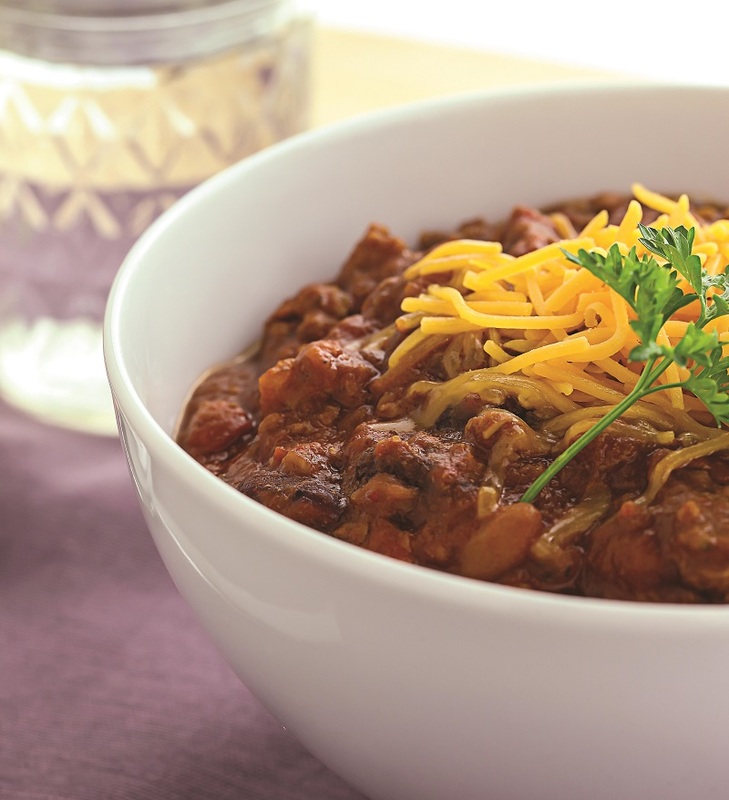 Delicious chili is one of my favorite “one-pot” dishes. It’s easy to make and you get a ton of flavor for a relatively small number of calories, and you stay full for hours. This recipe is from my cookbook The Shredded Chef and it’s one I come back to again and again. 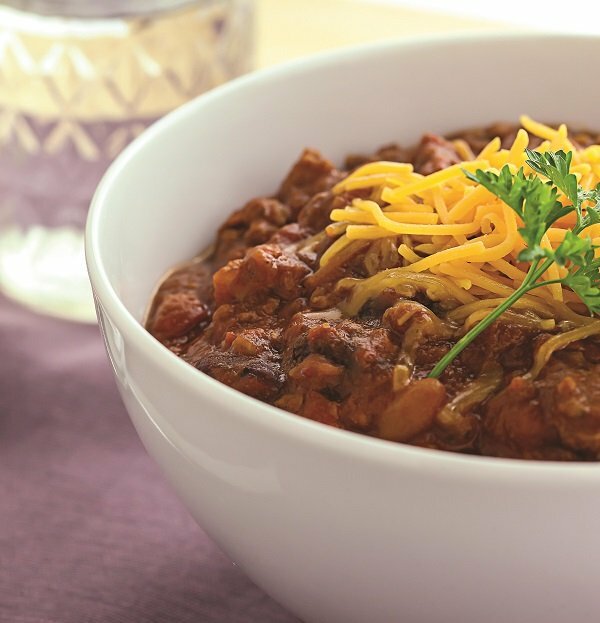 It’s hearty, extremely tasty, and gets better as it sits in the fridge (it’s perfect for bringing to work and reheating every day). Place a large stock pot or Dutch oven over high heat, add the butter and canola oil. Once butter has melted, add the bell pepper, jalapeño, chilies, and onion and cook until tender, about 5 minutes. Add the chuck cubes and brown on all sides. 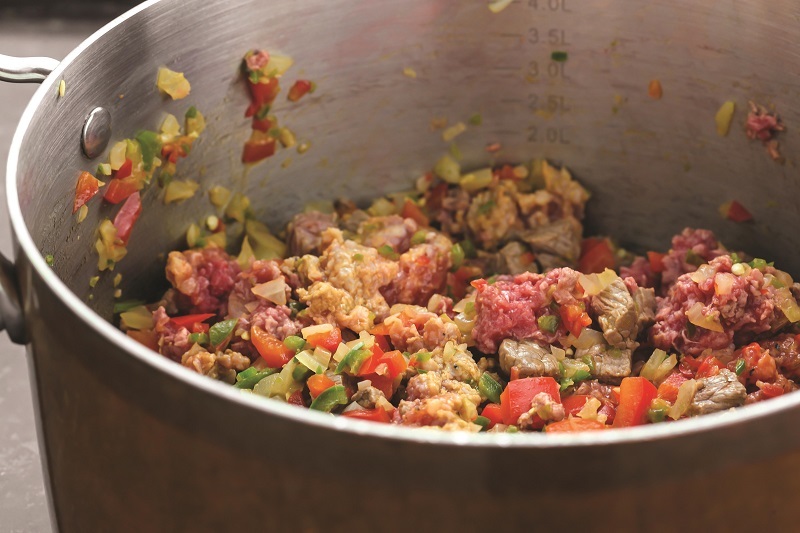 Mix in the ground round, sausage, and minced garlic, gently stir, trying not to break up the ground meat too much. Cook until meat is browned and cooked through, about 7 – 10 minutes.